Mouse over to see zoomed in version. 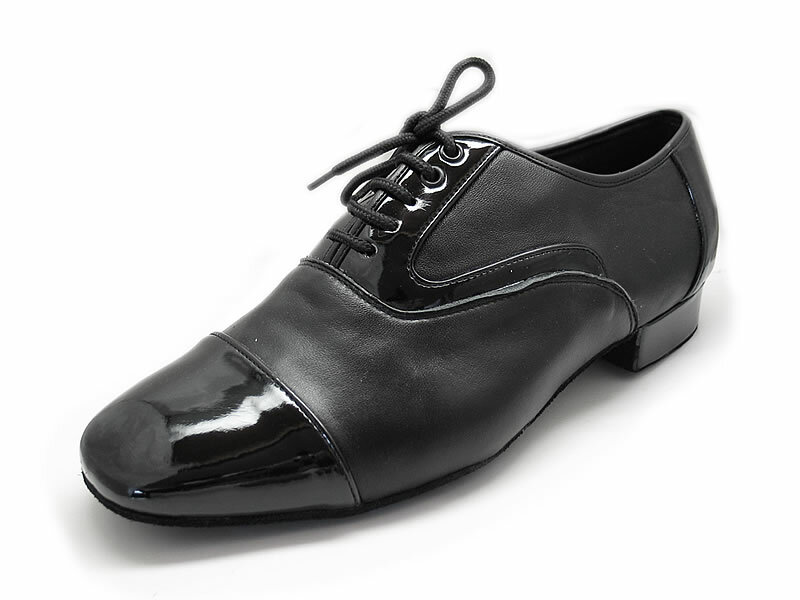 Sectioned men's shoe with square toe & curving trim, perfect for a two-tone look! Would make a great Swing shoe in Black & White. Pictured in Black Calf Imported Leather(S4) & Man-Made Black Patent Leather(G15).